i do think at some point it will happen, but i agree at this present time. dont get me wrong, everyone likes cash influx and i am also an investor, this is a great market with great potential and still in its infancy, the industry is just learning to walk after crawling for so long, as son as it can walk, it can start to run. I understand his position but the industry didn’t grow as fast as it has because people waited for the industry to mature. Besides, there are MJ stocks listed on a variety of exchanges, a pretty good sign of impending maturity if not the full maturity we’ll see when Congress gets off its collective butts and legalizes it federally. Hickenloopers “reasons” for vetoing these bills are false. The industry does now have proper banking. There are many banks taking marijuana and CBD businesses now. Also, the research done on autism and cannabis is quite extensive, and very successful. This research can be found at the cannabis research database, http://www.projectcbd.org. Hickenlooper is obviously biased because he didn’t even research his claims. Gov Hickenlooper was mandatated to enact a constitutional amendment , namely 64. I worked with the task force the entire of 2013 and witnessed his objections first hand. He came from the micro brew world and was most likely a little concerned about what the effect would be on that industry. It has proven to be a huge advantage for the state and had little effect on other industries. He was never a fan and did the best he could in putting the task force together. I agree that the banking and schedule needs to be addressed, but I think he is on his way out as a lame duck Governor. Maybe he will have a voice federally. There has been talk.Still, he is not giving the State a chance to fully compete. This is absolutely ridiculous, a huge mistake, and truly sad the Gov did this to his state. 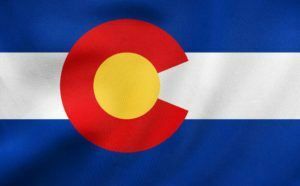 Colorado built and then proved the model of the cannabis industry for the rest of the world, and now we’re being left in the dust because companies can’t run their business like everyone else in a capitalistic society. I hope Hick get’s crushed for this one. He lost my vote for life, that’s for sure.